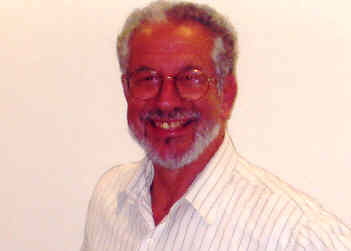 In an article published in Haaretz (here), Dr. Meir Zamir, a professor of Middle East history in the Department of Middle Eastern Studies at Ben-Gurion University of the Negev, traced a Mandate incident regarding a clash of British and French interests in Syria, which had potential quite negative ramifications for Zionism. In the summer of 1944, when soldiers of Free France were still fighting alongside the British against the Nazis in Europe, the two colonial powers were engaged in a clandestine struggle in the Middle East. That summer, French intelligence scored a major coup over its British counterpart in the region. The French recruited a Syrian agent who had access to top-secret correspondence between Syrian leaders - among them President Shukri al-Quwatli and Foreign Minister Jamil Mardam (who later became prime minister) - and leaders of neighboring states. French intelligence also obtained reports sent by Syrian diplomats in London, Washington, Moscow, Paris and a number of Arab countries. ...After the war the French sought to regain control of Syria and Lebanon, but Syria constituted a distinctive problem, in that its independence had been declared already in 1941, after joint forces of Britain and Free France liberated the country from the rule of the Vichy regime. From then until 1945, de Gaulle tried to force a treaty on Syria that would ensure France privileged status. After he understood that a Syrian-French agreement was not possible due to Syrian and British opposition, de Gaulle decided in April 1945 to send military reinforcements to Syria and Lebanon. This move, coupled with the harsh response of the French on May 8 in the city of Setif, Algeria, where French forces massacred thousands of Algerians who were demonstrating for their country's independence, badly rattled the Syrian president. Quwatli feared that he would suffer the same fate as Emir Faisal, who was expelled from Damascus by the French in July 1920. ...On August 5, 1944, Spears sent Riyad al-Sulh, the Lebanese prime minister, on a secret mission to Damascus. So strict was British security that Sulh learned the exact purpose of his mission only when he met with the British consul in the Syrian capital. The consul dictated to Sulh a proposal from His Majesty's Government to the Syrian government; Sulh was to convey the proposal to Saadallah al-Jabiri, the Syrian prime minister, who was also Sulh's father-in-law. The British proposal included, among other points, Syria's unification with Transjordan and Palestine to create "Greater Syria. "...To persuade the Syrian leaders to agree to these terms, Britain was ready to commit itself to defend Syrian independence in the face of external aggression, continue the White Paper policy in Palestine and put a complete halt to "Jewish ambitions." ...The final stage in this British campaign of intrigue, provocation and pressure was played out in May 1945, with the aim of coercing Quwatli to sign an agreement with Britain. The secret British efforts to expel France from Syria were coordinated by Colonel Walter Stirling (who sometimes operated in the guise of a correspondent for The London Times). as the ambitions of Emir Abdullah to crown himself king of Greater Syria. At the end of 1945, the new Labour government took advantage of Syria's fears of a possible change in British policy to ensure that Damascus would uphold its May 1945 undertakings to Britain...However, the major obstacle to the Anglo-Iraqi-Syrian plan was not France, but the thrust of the Zionist movement to establish a Jewish state in Palestine. ...In the period 1945-1948, the most effective French weapon against Britain in the Middle East was its support for the struggle of the Zionist movement. In a meeting held on October 6, 1945, with Marc Jarblum, head of the Zionist organization in France, de Gaulle stated that "the Jews in Palestine are the only ones who can chase the British out of the Middle East." On November 10, in a visit to Paris, David Ben-Gurion, head of the Jewish Agency, was told by foreign minister Bidault that France supported the Zionist cause. of Greater Syria, which was to include Palestine. That policy patently could not accommodate the creation of an independent Jewish state in any part of Palestine. ...The Syrian documents enhance understanding of two significant events on the road to Israel's establishment: President Harry S Truman's letter of August 31, 1945, to British prime minister Attlee, demanding that Britain allow the immigration of 100,000 Jewish refugees from camps in Europe to Palestine; and the well-known speech by Soviet foreign minister Andrei Gromyko in the United Nations on May 14, 1947 endorsing the establishment of a Jewish state. ...According to one diplomat, the British were responsible for the chaotic situation there, and he cautioned his Syrian interlocutor that Britain was exploiting the Jewish-Arab conflict in order "to achieve control in all the Arab states." establishment of a Jewish state based on information provided by the French? And did his fateful decision to declare the establishment of the State of Israel on May 14, 1948 - and later to impose major operational decisions on his generals - stem from secret information he received from the French about the Arabs' military plans? ...By September , it had become apparent that the Labour government did not intend to modify British policy in the Middle East. The French learned this from the Anglo-Syrian correspondence. On October 1, Ben-Gurion sent his well-known directive from Paris to Moshe Sneh, the head of the Haganah, instructing the defense forces to cooperate with Etzel and Lehi in armed resistance against British rule. The establishment of the united resistance movement was seen at the time as an extreme measure and was strongly criticized by some of Ben-Gurion's colleagues, as this ended a quarter-century of close cooperation between the Zionist movement and Britain. ...These examples, and others not cited here, do not by themselves necessarily constitute unequivocal proof that the French shared information they gleaned from the Syrian documents with the Israelis. However, if we take into ccount the secret Anglo-Syrian agreement, the intense French hostility toward the British in the aftermath of their expulsion from Syria and Lebanon, and the close collaboration between France and the Zionist movement during 1945-1948, this possibility appears quite reasonable. In any case, the Syrian documents uncovered so far in French archives will oblige historians to reassess British policy in the postwar Middle East in general, and in Palestine in particular.